Teri: The smell reminds me of a lemon-almond cookie with similar tastes of almond, lemon, peach, and a hint of mineral flavors. Smooth and non-dry. Not too much flavor but just crisp and refreshing. 88 points for general price and good quality. 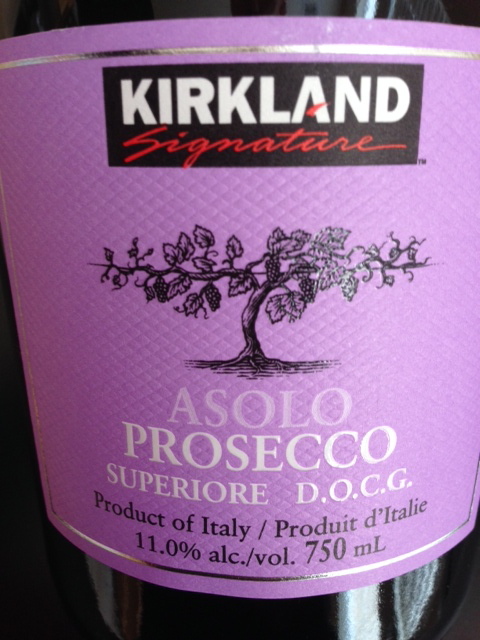 This entry was posted in White and tagged Champagne, NV, Prosecco, Sparkling Wine, White by aaronandteri. Bookmark the permalink.